|Description| DROPS Muskat is spun from multiple thin strands which make it extremely strong and durable and give the yarn a gentle shine and great shape stability. DROPS Muskat is Egyptian mercerized cotton, the finest long cotton fibre you can lay your hands on! 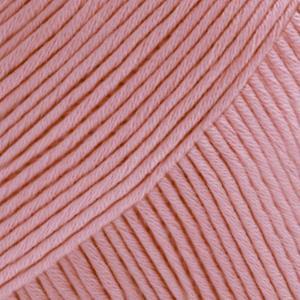 his yarn has Oeko-Tex® certification. Colours available: Light Brown, Light pink, Old pink, Silver Green, Vanilla yellow and White.